In Marquette we stayed at the city campground. We were planning to stay at the casino campground but the sites were terrible. What could we expect for a 50 amp electric only site that are free? That's right, the casino provides them for free but they were so bad there was no one using them. Only one or two were graded at all and those were loose sand. We backtracked to the city campground instead. It has nice paved sites and is on a lake...well sort of. The dam broke in 2003 and they haven't fixed it yet and the lake is dry. The campground is in town in a large park and is close to everything. We drove about a mile to Presque Isle Park that was right on Lake Superior and had a nature drive along the shoreline. This deer finally looked up at us when we stopped next to it. Next to the park was an ore loading dock where we happened to see a ship loading. You can see the rail cars on top and one of the chutes dumping taconite into the hold. It only took a few hours and he was loaded and gone. Marquette, like most towns along the lake, has a maritime museum. It has a nice display of shipwreck information and lighthouse lenses. The next stop is the Indian Lake Travel Resort in Manistique. Manistique is on the southern edge of the Upper Peninsula. The campground is on a large lake and was very nice. It is owned by a couple who live in Florida. The big attraction in Manistique that is advertised everywhere is the Syphone Bridge. The bridge is supposed to be floating on water. Guess what? The DOT decided it was not safe a few years ago and replaced it with a normal bridge. No one bothered to change the ads. We drove around looking for it and finally stopped at the Chamber of Commerce. They said "Oh! that hasn't been here for years". I guess when your main attraction is gone you just keep advertising..
We did visit the Seney National Wildlife Refuge. Seney National Wildlife Refuge was established in 1935 for the protection and production of migratory birds and other wildlife. Today the refuge (92,000 acres) is comprised of a rich mosaic of marsh, swamp, bog, grasslands, and forest, with nearly two-thirds wetlands. 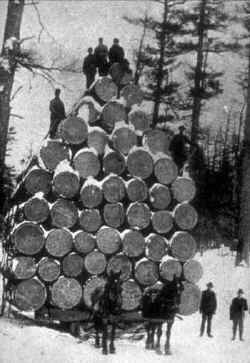 Over a century ago lumbering operations forever altered the landscape of the Upper Peninsula's great pine forests. The ring of the lumberman's axe echoed through the forests as local mills depleted the region's valuable supply of red and white pine. After the pine forests were cut, mill owners turned their axes and saws to the refuge's northern hardwood and swamp conifer species. After the fires burned out, a land development company dug many miles of drainage ditches throughout Seney This drained acreage was then sold using extravagant promises of agricultural productivity, but the new owners quickly learned that these promises were unfounded. One by one, the farms were abandoned, and the exploited lands reverted to state ownership. Next stop, Newberry, Michigan, moose capitol of Michigan. We don't believe them. We never saw one nor any moose manure. We think it's a plot to sell moose stuff in the gift shops. A few miles away however there are bears. This is a private sanctuary with 30 bears. Judy liked watching the 2 cubs. They were never still for 2 seconds. One would try to eat but the other would tackle him and a fight would start. Then they would climb the cage and try to get out the roof. This would last a few seconds and then they would jump in the water, jump out and start fighting again. They were definitely hyperactive and needed tranquilizers. Speaking of maritime museums....We spent a day visiting Whitefish Point and the Shipwreck Museum, home of the Edmund Fitzgerald bell. This is the bell that was recovered from the wreckage , restored and displayed as a tribute to the lost crew. The panorama picture is of the sand dunes at the point. We finally broke down and paid to enter a Michigan State Park. They charge $8 a day for out-of-state cars to enter. That's double the in-state rate. I guess they don't want us foreigners in their parks. If you camp you must pay this on top of the site fee plus a $5 registration fee plus $6 a day for a motorhome pass. We can stay at a private resort with full hookups for a lot less money. We did want to see the falls so we bit the bullet and paid the $8. The upper falls at 50' high and 200' across is the second largest falls east of the Mississippi. Only Niagara is bigger. The hike to the deck at the top of the upper falls of course includes stairs. 94 to be exact. The downstream view of the same falls has 118 steps (that's part of them in the picture at the right). The bugs weren't too bad but our lunch at the Brewery in the park was terrible. Judy's whitefish sandwich was so fishy that she couldn't eat it all. We should have sent it back. We spent the rest of the day and the next geocaching. Tomorrow 6/17 we will be moving toward Sault Sainte Marie.